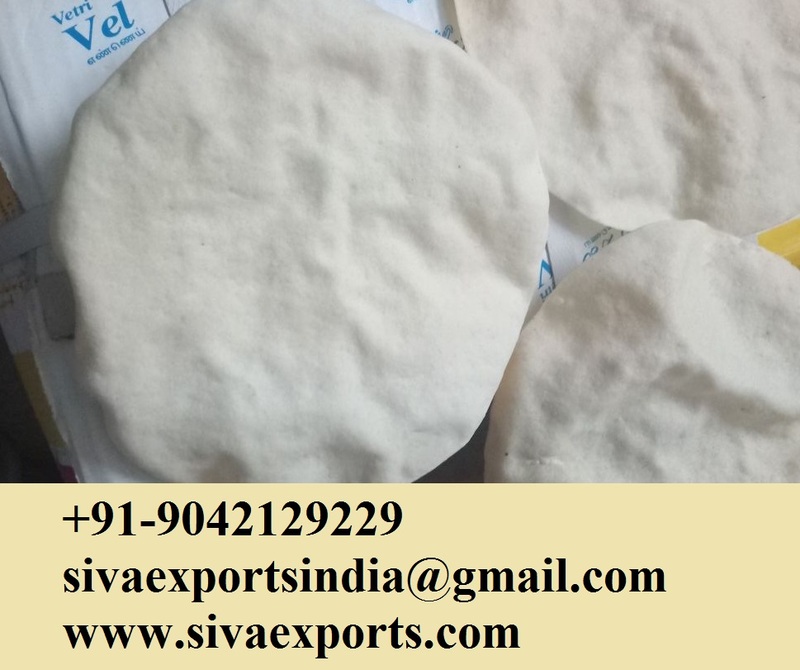 Siva Exports is one of the best Poppadom Manufacturers in India. We are manufacturing poppadom in Madurai, Tamilnadu, India since 1966. Moreover Browse through a large variety of South Indian Pappadam that comprises Black Pepper Pappadums, Green Chilli Pappadums, Crushed Red Chilli Pappadums, Garlic Pappadums, Cumin (Jeera) Pappadums and Indian Mixed Masala Pappadums. Especially Processed in hygienic processing facility, these are widely reckoned for taste and quality. We invite our buyers for a desired quantity that can be made available to them at best industry prices. Siva Exports is one the leading Poppadoms Manufacturers with a celebrated heritage, owing to more than 50 years in the industry. We provide appalams and pappadams with assurance of freshness and crispy taste. As the supplier and exporter of spicy & plain Poppadoms, we consider our clients as the tycoon and commit towards their needs & expectations. This approach has assisted in flourishing our business worldwide. Also We provide the range of spicy and plain papads in various packets of 100 gms, 150 gms, 200 gms, 300 gms etc. Kindly send us inquiry for the complete details and clearly mention your bulk requirements. Since We are one of the best manufacturers of Poppadoms in India. Also we are one of the leading manufacturers of Poppadoms in India. Siva Exports is well known as one of the best Pappadam Manufacturers in India. For over 8 decades, We are Manufacturer-Exporter-Supplier of Pappadam from Madurai, Tamilnadu, India. We are manufacturing pappadam and supplying all over India as well as abroad countries too. Also Our Pappadam are hygienically prepared in our facility that ensures it’s free from adulteration. Furthermore, we offer them in air-tight packaging thereby ensuring is quality and retains the taste. We offer Spicy Papaddam to our clients. These are spicy and tasty and have a taste to die for. Our clients appreciate for the quality and taste that we offer to them. This is avaialble at very affordable price range to our prestigious clients. Since We are engage in offering Papaddam Papad to our clients. These are tasty and are manufactured using hi tech machines. We make sure to deliver the product on time at the clients door at affordable price range. Also We are offering Plain Papaddam to our clients. Since These are tasty and crunchy and offers mouth watering taste. Clients can avail the product at affordable price range. Siva Exports is one of the best papad exporters in india. We are exporting indian papads to many countries like Malaysia, Singapore, Mauritius, Maldives, Sri Lanka and other countries. We are widely acclaim for offering fresh and Crispy Papad to our clients. Our range of Plain Papad is make from the various ingredients like cumin, chilies and many more that not only make Papad tasty but also give it digestive properties. Our Plain Papads have highly demand by our clients due to its amazing taste. Also We provide Plain Papad in bulk at the best price in the market. By keeping in mind quality as the topmost concern, we procure raw materials only from the well-known sources present in the market. Thus, we ensure high-grade products to the clients. Since We can make timely delivery of bulk as well as retail orders courtesy a wide vendor, distributor and logistic service provider base. We are one of the best papad exporters in india. We are one of the leading papad exporters in india. Also We are one of the No.1 handmade papad exporters in india. Moreover We are one of the top papad exporters in india. Siva Exports – Appalam Manufacturers in Tamilnadu, Madurai, India. Siva Exports is one of the Best Appalam Manufacturers in Tamilnadu, Madurai, India. A dish that defines the Indian palette, we present a variety of appalam papad, crisp papad, masala papad papadum that makes perfect addition to any vegetarian meal. These crisp Appalam are hygienically prepared in urad dhal. Backed by efficient logistics team, we make deliveries of the goods in the set time span. Thus, we stringently check the inputs before procurement. Appalam (papad) is an essential food item in any south indian vegetarian meal. They are “ready to cook” and they are deep fried in edible oil. Our Appalam is make in traditional method with good quality ingredients. Since Our factory is located at Madurai, Tamilnadu (India) and has gained immense acknowledgement and a respected place in the market. Buy the best quality appalams at rock-bottom prices from us. Also We have installed Our storage facility with all necessary amenities essential for the secure storage of the products. Also, we maintain complete hygiene inside the unit. Capable of catering to the varied demands of the customers, we are named amidst the respected Suppliers of Plain Appalam. Features: Exotic flavor Premium taste Soft yet crispy. Our company is a premium Manufacturer, Supplier and Exporter of Indian Appalam from Tamil Nadu, India. We offered the Indian Appalam which our customers have demand owing to its crispiness and mouth-watering flavor. Customers from India, Malaysia, and Singapore etc. prefer our product because of its delicious nature and high quality. We are capable of timely addressing bulk requirements of Indian Appalam by our clients in various countries. Packaging: As per customer need..
Where do we find the list of best appalam manufacturers in tamilnadu? Siva Exports is the only place in Tamilnadu who manufactures Appalam by traditional method in India. In the first place – Siva Exports Best Appalam Manufacturers in India. In the Second place – Orange Appalam Best Papad Manufacturers in India. Siva Exports is the best appalam manufacturers in madurai, tamilnadu, india. The processing process of the Appalam is conducted under the most hygienic conditions and thus it is free from adulterants. Appalam is made from the famous place Madurai of south tamilnadu, Its thin and crispy purely home made. Also We are one of the most reliable companies in this domain and are into offering Crispy Appalam Papad. Especially, A south Indian meal is never complete without an appalam. Also A typical South Indian name ‘Appalam‘ is a substitute name for Papad. It is a thin, disc shaped Indian food that is crispy. Enjoy this with rice or sambar. A perfect accompaniment to your meal. Moreover Siva Exports is the only best appalam manufacturer in madurai. 2)Where can I find the list of appalam manufacturers in madurai? until now, Siva Exports is the only best appalam manufacturer in madurai. 3)List of best appalam – Papad manufacturers in madurai? 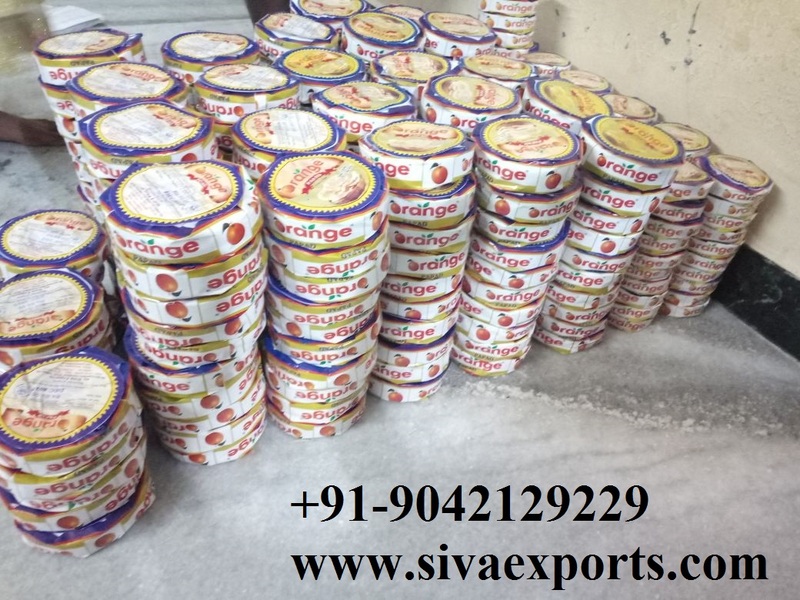 Siva Exports is one of the best papad manufacturers in India. The only place in India where the papad is manufactured at premium quality and selling at most competitive price. Where to find the best papad manufacturers in India? 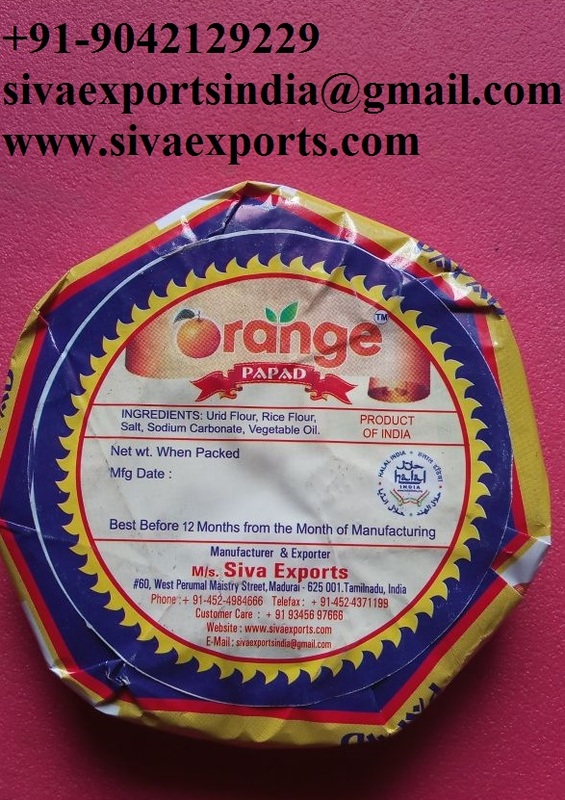 The only place is india who manufacture papad in export quality is Siva Exports. A papad is a thin, crisp, disc-shaped food from the Indian subcontinent; typically based on a seasoned dough usually made from peeled black gram flour (urad flour), either fried or cooked with dry heat (usually flipping it over an open flame). Since Papad are typically served as an accompaniment to a meal in India, Bangladesh, Nepal, and Sri Lanka or as an appetizer or snack. In certain parts of India, papad which have been dried but not cooked are used in curries and vegetable dishes. tOther name of papad is appalam in Tamil Nadu, pappadum in Kerala, appadam in Andhra/Telangana, happala in Karnataka, and papad in other parts of India. In the south, Kerala, Madurai district in Tamil Nadu, Kanchipuram, and Chennai are major pappad or appalam manufacturers. How to manufacture papad in India? Siva Exports is the No.1 Appalam Manufacturers in India. With the help of our modern transit facility, we are capable of delivering the orders at the desired place with ease. Being one of the prominent names in the industry, we, as a Supplier, bring forth a wide array of appalams to our customers. As a famed name in the industry, buyers can stay rest assured for on-time delivery as we are supported by modern facilities. We are the most promising name when it comes to appalams. Also, we maintain complete hygiene inside the unit. Also We supply good quality of Appalam at best prices . Our company has Manufacture appalam in 25 years. And also we deal with Agro and Food products. As a best quality manufacturer of appalam in India, Siva Exports plays important rome in this field. How to manufacture Appalam in India? 4. Also Add enough water and knead well to a thick dough. 7. When the dough to turn pale yellow, pinch small balls of the dough and roll them out into thin circles. 9. Then Store them in a clean, dry container. 10. Then Fry them in hot oil and serve with rice or as desired.